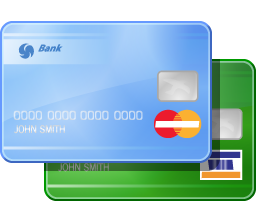 Unfortunately, many see health insurance as an open credit card. People demand things that they think should be covered and have access to whichever provider they so choose. Requiring to go to the most expensive hospital system because someone else is paying the bill would be entirely different if it came out of your pocket. The truth is, it does cost you more to go there or get additional services. As years go by, we end up paying more for healthcare. Mostly because of utilization. If we compare your homeowner's insurance policy, you pay far less. An insurance company may be on the hook for as much as a $1 Million in replacement cost. The premiums are much more affordable than health insurance. Why? Because when was the last time the insurance company paid for power washing your house, or even a 'tune-up' on your AC unit? When you are reviewing your health insurance, think about that some. You might even start saving in premiums now, for something you may not end up using as much after all. If a percentage of the people did this, we could all see trends reverse and have more affordable care for everyone.